What is Membership at Temple Sinai? Temple Sinai Membership would be described as covenantal and characterized by the richness of the individual and communal relationships that result. As a member of the Temple Sinai community you are part of a Jewish community that learns together, cares for one another, and engages in Jewish practice and tikkun olam (healing the world). When you join Temple Sinai, either as an individual or a family, we ask that you complete a membership application online (or mail/bring in your application) – CLICK HERE. After you complete and submit the membership application, you will be contacted by a member of the Membership Committee. Please feel free to discuss any questions you may have with this Temple member. They will be happy to meet with you for coffee or to accompany you to Shabbat Services or an event at the Temple. Once your application is approved by the Board of Trustees of the Temple, you will be notified that your membership is official! 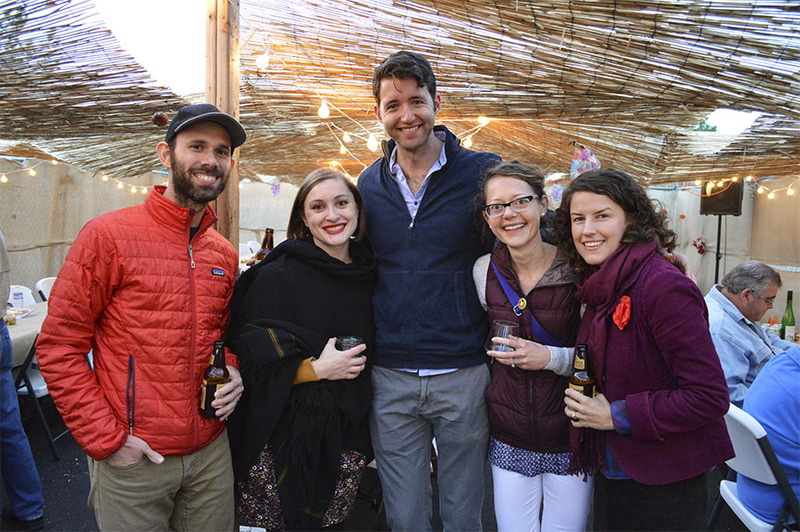 Your Membership Committee contact will maintain a connection with you for your first year of membership, so feel free to share your experiences and insights as your relationship with Temple Sinai deepens. We are so glad you are considering Temple Sinai as your Jewish home and sacred community. Membership at Temple Sinai is a sacred commitment. When a person or family officially signs up as a member, you and the community enter into a covenantal relationship that includes spiritual, personal, and communal growth. There are five pillars: Committing to your own growth through learning; showing up for others; engaging with members of the community through friendship, hospitality and deeds of loving-kindness; paying dues; and volunteer service. We celebrate with one another throughout life cycle moments; we show up when others are in need and we reach out to sustain relationships in the community. Learning can take many forms, as each of us moves forward in our own Jewish journeys. We have much to learn from one another and through pursuing a deeper knowledge of Jewish tradition, values, and history. Learning is part of growth, and helps us refine our own “Torah” to live in the world. Promoting warm hospitality and forming relationships with individuals and groups within the synagogue builds genuine bonds of caring. This community is like extended family, people to whom we give and from whom to receive in times of joy or need. Acts of kindness within the community strengthen all of us to do our work in the world with full hearts. We give financially to ensure that we can continue to serve the spiritual, communal and pastoral needs of our members and support a vibrant Jewish community in Reno. Like any non-profit, we have expenses, salaries and building costs to pay, and generous support from the community, at whatever level, helps us thrive. We are a community that values and encourages people to bring their talents to bear on who we are and what we do. Please indicate on this form and, in initial conversations with synagogue leaders, mention your unique gifts and interests so that you may be involved in a way that fulfills both our needs and yours. In a small community, gifts of time and acts of service are equal in importance to financial support, whether during prayer services, in organizing events, or sharing of your interests and professional expertise with others. We sincerely hope you will help us get to know you better by making an appointment with a member of the Chair of the Membership Committee, with the rabbis, the Temple president or by calling 775-747-5508. This link is for CURRENT members of Temple Sinai to RENEW their annual membership commitment with our Temple. Click the links below to RENEW your annual membership. If you are not yet a member of Temple Sinai, please fill out the Membership Application instead. We hold services Friday nights, the first and third Saturdays, holidays, and special celebrations. We currently have approximately 150 member households. Members are welcome to participate in worship services including High Holy Days, in our education programs, in opportunities for Social Action within the larger community, and receive reduced burial rates for burial at the Jewish Cemetery. Our rabbi, staff, and Temple members will be there to support you through life’s challenges and joys. You will also be supporting our synagogue and the great programs we offer. Click here to fill out an ONLINE application, click here to DOWNLOAD and mail one in, or call the Temple Office at (775)747-5508 and you will be guided through the process. What are the regular membership pledges? Mezin (Sustaining) Level — based on the financial commitment per member unit required to meet our annual budget — is $1,800 per year ($150/month). L’dor v’Dor (“From Generation to Generation”) Level is $3,600 per year ($300/month). Mana (Helping) Level for Singles, Single Parents, or 65+ households is $1,200 per year ($100/month). Maskil (Senior Single) Level for our 65+ single members is $900 per year ($75/month). 1st Year Introductory Level for new our new members’ first year only is $550 per year. Your financial commitment may be met with payments on an annual, semi-annual, quarterly or monthly basis. What if I can’t afford a membership commitment? We encourage your financial support at whatever level you choose. No one will be turned away because of inability to pay. If you don’t feel you can pay dues at or above your level, please contact Jay Goldberg, Financial Officer, at cfo@sinaireno.org or (775) 686-6164 to confidentially discuss your situation. How can I help with the Membership Committee? Contact the committee Chair to let them know you want to help.